When you think about historic carriage periodicals, the first titles that come to mind are probably The Hub and The Carriage Monthly. We talk about these publications often, as they were the leading journals of the carriage era. But let’s not overlook the other journals that were published during this time period, appealing to smaller markets within the carriage community. This week I’ve spent some time reading Vehicle Dealer, and it’s a great resource for this particular aspect of the carriage trade. Each issue features articles about trade conditions, shipping and freight costs, carriage repository best practices, ethics of business, and other topics of interest to carriage dealers. The journal was also a great opportunity for wholesale carriage manufacturers to promote their products to these dealers. The advertisements featured new styles, brag about cost and quality, and announce catalog availability. 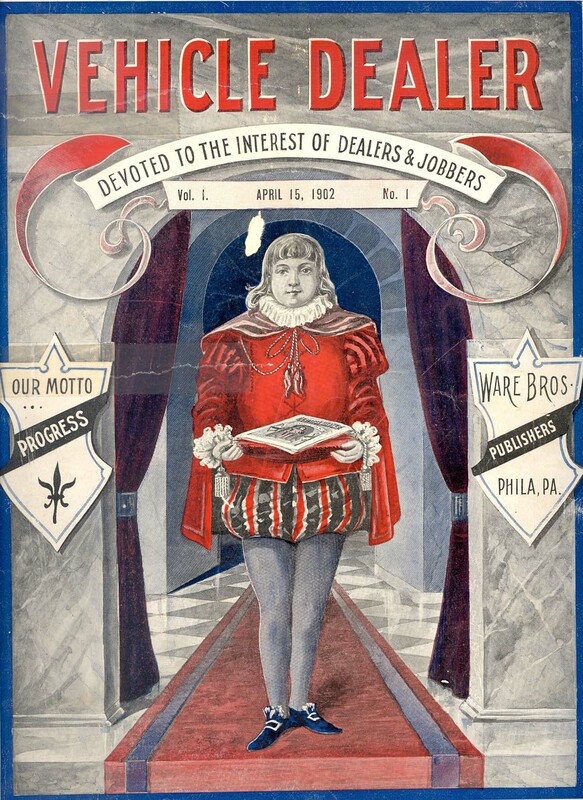 The advertisements were endorsed as being a service to the dealers, in that they could use each issue as a catalog of sorts in their shops. What should you do if a customer is about to leave without making a purchase? Here’s the suggestion put forth in Vol. 1 No. 1: “When it comes time for the visitor to walk out, after he has looked all over the stock and sees nothing to take his eye, the dealer has one card to play. 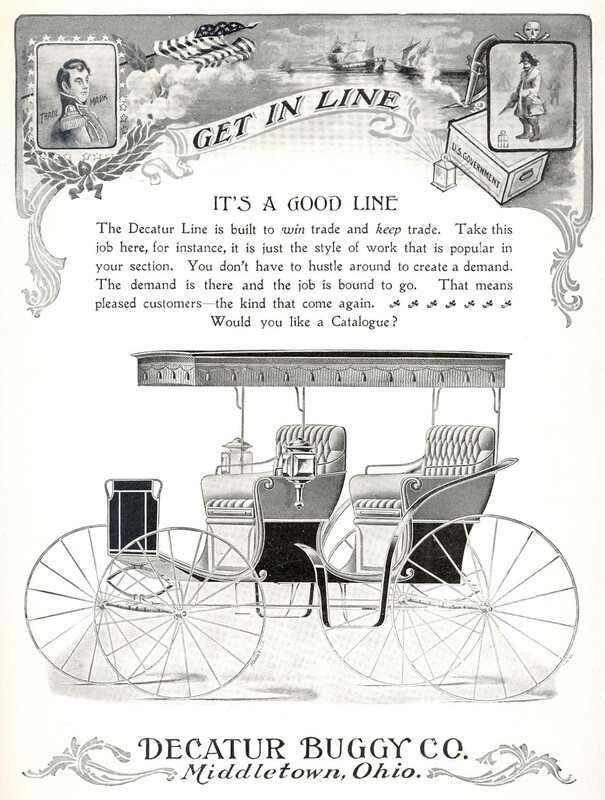 Let him invite the outgoing, would-be buyer to his office, ask him to take a seat, lay down before him The Vehicle Dealer, open its advertising pages to him and say ‘Now, my friend, look over these 100 pages of carriage illustrations. They represent the latest and best makes of vehicles from all over the United States. Here, my friend, is the greatest carriage repository the world ever saw. Go through it page by page. Look at the description of each display, note the style, appearance, the good points. Turn on, page by page, and you will probably find what you want. If it is not there, it is not made. '” In 1905, the Vehicle Dealer even published a special supplement to the regular journal, the Manufacturers’ Vehicle Cyclopedia for New Styles. It left out the articles altogether, including instead a whole book of advertisements featuring new vehicle styles. Want to learn more about the Vehicle Dealer? Come visit the library, or “like” us on Facebook! I’ll be sharing more advertisements from this publication over the next few weeks.